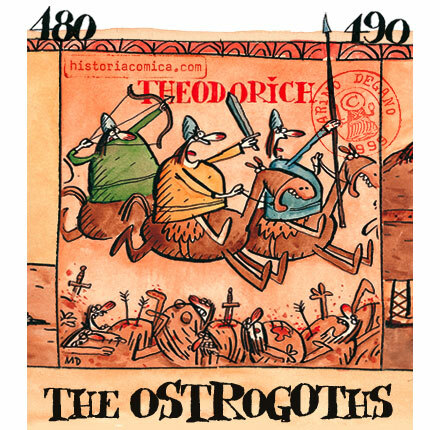 When the Ostrogoths had finally freed themselves of the Huns, they moved westwards, led by their chief Teodoric. They settled in Italy, Dalmatia and Provence and founded the Ostrogothic kingdom with Ravenna as its capital. It existed until 553. Click on the green snail to proceed to other images of the OPUS 1.